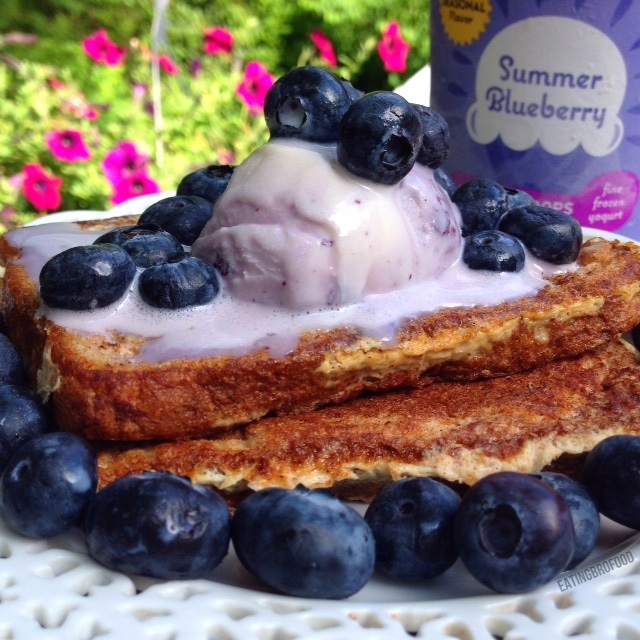 It’s always summer when you wake up to blueberry fro-yo french toast! At 23 grams of protein, only 4 grams of fat and 100% natural ingredients this breakfast can’t be beat. Stay cool the tasty way with this delicious treat and make sure to check out Sweet Scoops Frozen Yogurt at your local Whole Foods and Roche Brothers.